Chosen as the American Film Institute’s selection for greatest western by their spurious and subjective “100 Years…” series, The Searchers has certainly ingrained itself on our collective conscious in a variety of ways. In it, John Wayne puts up one of his most interesting and well-acted roles, typifying himself as the tough, rugged loner type that his other movies have alluded to. 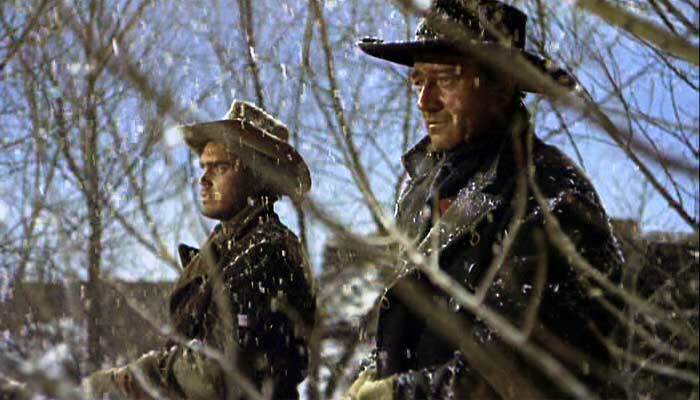 And his long-time friend and collaborator John Ford reaches his apex of film cinematography, pushing the panoramic lenses of his cameras to their limits on nearly every scene, while Technicolor and innovative VistaVision – a high-resolution widescreen variant on CinemaScope – made his unique, classic vision more beautiful and powerful than ever. David Lean even used the wide-open, surreal vistas of Monument Valley as an inspiration for his Lawrence of Arabia (1962), which is the greatest example of masterful cinematography since. 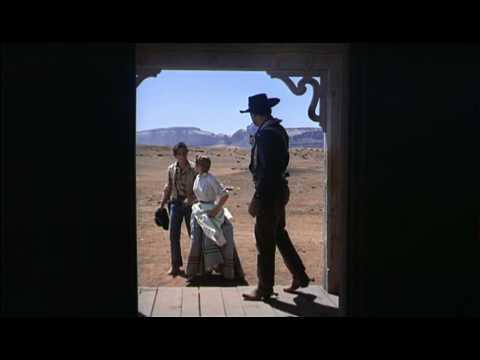 It also features perhaps the most distinct and original cinematographic doorway shot since Citizen Kane (1941), that features a few times in the beginning, but is most direct and affecting in the very ending, and is key to why the ending of The Searchers is continually touted as one of the best endings of any film. But there are several other components to this film that are more subtle in their approach that help create as indelible an image. The plot is straightforward. Mysterious Confederate veteran Ethan returns to his brother’s house after three years of what we are led to believe was lawlessness. Barely a day goes by before Ethan and the rest of the volunteer Texas Ranger locals are led out into the plains in a ruse while hostile Comanche Indians burn the home and murder Ethan’s family. The youngest girl, Debbie, is taken by the warriors, and Ethan seeks revenge, toting along his brother’s adopted son Martin on the search. But there is darkness inherent in the film, and in Wayne’s character of Ethan particularly, that is powerful and unsettling. The Indian populace of Ford’s Western genre were never cheerful creatures, but never have they been more menacing. The preparation the Edwards family takes, knowing a Comanche attack looms, is claustrophobic in its terror. In the aftermath, when Ethan comes upon the devastation, and while searching for Martha goes into the smokehouse and hangs his head at a horrific image of her fate only he can see, the film reaches darkness unprecedented for the time and genre. The film does not shy away or glamorize death; it instead shows the desperate see-saw of survival for mid-19th century Texas settlers, the isolation and unsympathetic landscape, and the fear and loss that drives proud men to become sinister conduits of rage and racism. Ethan’s hatred for the Comanche, by either some deep, long-brewing resentment or directly from what they did to his family, is obvious and unapologetic. He shoots wildly at a herd of buffalo simply because, “They won’t feed any Comanches this winter!” He shoots the eyes out of a buried warrior he finds so that, in their belief, the brave will wonder the shadow lands blind for eternity. When finding out that Debbie isn’t dead, but has been living with Comanches for years, Ethan’s first instinct is to shoot her rather than accept that she’s been living with Indian braves. Even his pronunciation of “Comanche” – leaving off the “e” in Anglicization – is purposeful, as is his likening them to animals by calling Comanche warriors “bucks”. And Martin’s character, who in backstory is revealed to have been rescued by Ethan as an infant, captured by Comanches that had killed his parents, becomes a target for Ethan’s hatred. This characterization establishes a realism and humanism that makes the unfolding story and its outcome even more potent. In more subtle approaches, this storyline becomes even more intriguing upon closer inspection of some scenes. Despite not having one word of dialogue concerning this, there is a sense from some sequences of extended visual drama that Ethan is in love with his brother’s wife Martha. Prolonged looks and lingering camera shots on Ethan’s face when she is in the same room encourage this opinion and lend the most obvious reason for his character’s viciousness and hatred following her death. But perhaps the most captivating thought is that Debbie, who, played by Natalie Wood and perhaps the most immaculate and beautiful Western squaw in film history, is in fact the lovechild of Ethan and Martha, explaining his anger at her new identity and then his subsequent change in heart in the film’s heartwarming ending. 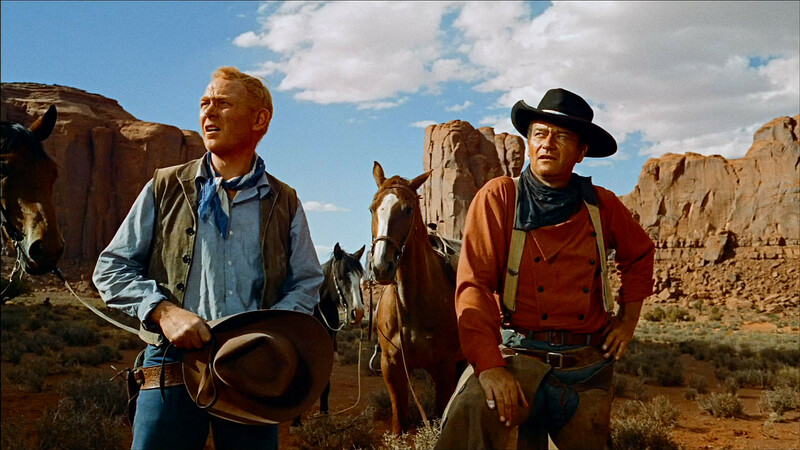 These are just a few of intriguing facets in The Searchers’ rich story, headlined by one of the meatiest roles bestowed to Wayne by Ford in their 12-film collaborative history. In addition are the themes of bigotry and racism that other films, even in Ford’s own history, would have shied away from. As an aside, the director also includes commentary on the responsibilities of the white man for the Comanche hostility, the most negative since Fort Apache (1948). A harmless squaw is found dead in a camp torched by a brigade of U.S. Cavalrymen, prompting Martin to wonder, “What’d the soldiers have to kill her for?” And the film’s obvious antagonist, Scar of the Nawyecka band of Comanches, is given some uncharacteristic understanding for the genre when he explains that his two sons were killed by whites, prompting his own yearning for revenge that mirrors Ethan’s. And to the much-discussed final scene, where everyone goes inside save for Ethan, who for a second looks longingly at the doorway before he turns and saunters off of the porch as the door shuts. 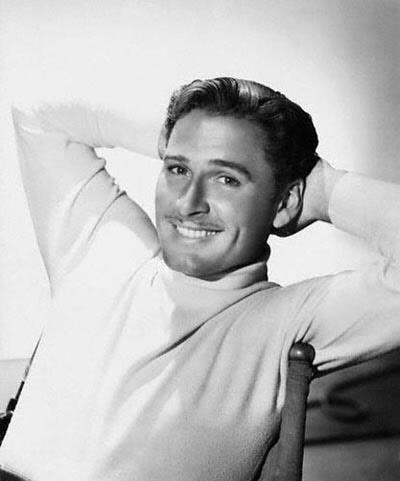 Ethan only becomes a character of heroic element late in the film. Before that he was a man driven by rage, pride and hatred searching for his niece as well as his own lost humanity. 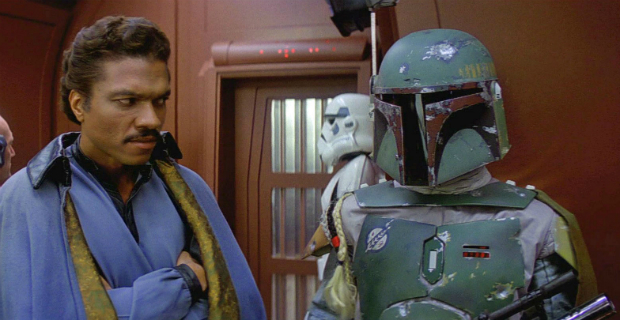 Whether he found it or not in the film’s two hours can be discussed; but in the ending it’s made evident his kind is not welcome or needed in a family. He returned to Texas alone, and most likely he’ll leave it alone as he continues to search for something only he can find. Images courtesy of themoviedb.org, twi-ny.com and wn.com, respectively. Brilliant close statement! Some have said the views we have of the American Cowboy is only myth but I think whether that be true or not, your final summary reaches into the heart of what makes community.